For 20 years, researchers have envisioned artificially intelligent learning companions that evolve with their students as they grow and learn. However, while communication theory suggests that positivity decreases over time in relationships, most tutoring systems designed to build rapport with a student remain adamantly polite, and may therefore inadvertently distance the learner from the agent over time. 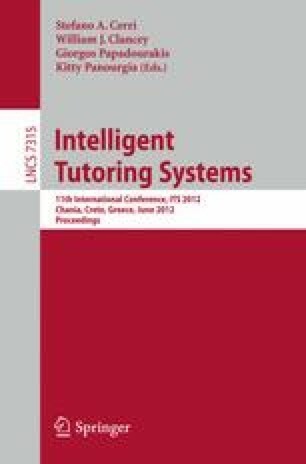 We present an analysis of high school friends interacting in a peer tutoring environment as a step towards designing agents that sustain long-term pedagogical relationships with learners. We find that tutees and tutors use different language behaviors: tutees express more playfulness and face-threat, while tutors attend more to the task. This face-threat by the tutee is associated with increased learning gains for their tutor. Additionally, a small sample of partners who were strangers learned less than friends, and in these dyads increased face-threat was negatively correlated with learning. Our findings support the idea that learning companions should gradually move towards playful face-threat as they build relationships with their students.